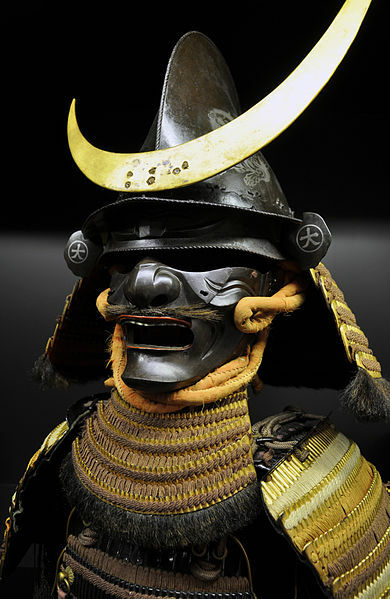 There are many notable personalities that appear throughout the history of Japan. Each of them contributes something different to the culture of Japan depending on the era that they were alive in. There are the stories of the bright minds that made companies like Suzuki successful in Japan and many more. If you are looking into personalities or historical figures of Japan that lived during the Sengoku period, you’ll be happy to find out that there is a long list of people that you can study with regards to this. An example of a character whose clan was linked to quite a lot of historical events during this period is the man named Imagawa Ujiteru. The Imagawa clan was already pretty powerful even before Imagawa Ujiteru played a part in any of their clan’s plans. His grandfather, Imagawa Yoshitada, was the 6th Suruga-Imagawa family head and during his reign, he spent most of this time fighting against the Katsumada and Yokota clans. Yoshitada thought that he finally cut off any lineage of the Katsumada and Yokota clans but to his surprise, it would be the remnants of the two clans that would put an end to his life. The remnants of the clans did this by catching Yoshitada off guard as he was returning home to Suruga. 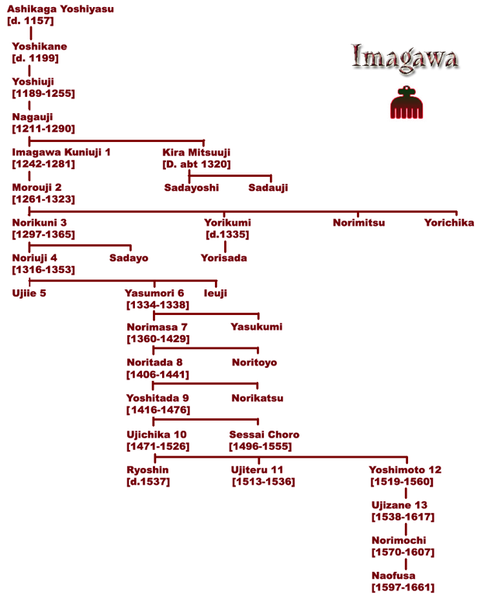 This caused quite the ruckus because, although there was a clear successor to the Imagawa clan, the eldest son of Yoshitada, Imagawa Ujichika, was still too young to take on the responsibilities of such a role. This caused a succession dispute within the family but was easily ended by Ise Shinkuro, who would soon be known as Hojo Soun, because he was the one that proposed that until Ujichika was ready to take on the role of his father, his uncle, Oshika Norimitsu, would be somewhat of a mentor to him. This helped the tension within the clan to settle down a bit but when Ujichika turned 17, which was the rightful age that someone could undergo the coming of age ceremony, the tension would once again rise as Norimitsu refused to give the power and authority that was rightfully Ujichika’s. Considering the experience that Norimitsu has compared to Ujichika’s, it would be a no-brainer that Norimitsu definitely had a great advantage. Luckily, Shinkuro remained loyal to Ujichika and his father and took take of Norimitsu himself. The moment Norimitsu fell to the hands of Shinkuro, Ujichika immediately took control of the clan as its head. During the reign of Ujichika, he was able to order the construction of the Nagoya Castle found in Owari. 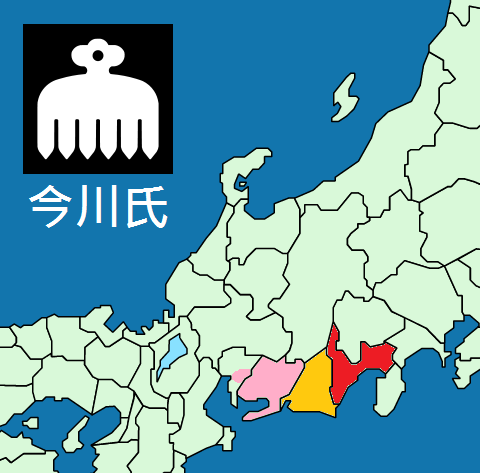 In those times, Owari was part of the Mikawa Province. Some people found this act as an unusual one because the Imagawa clan had very little influence over the Mikawa Province yet it was the location chosen by Ujichika for the grand castle. Aside from ordering the construction of the monumental castle in Japan, he was also responsible for the Imagawa Kana Mokuroku which was the main Imagawa house code. He contributed a lot of articles in that list of codes like the punishment given to people who unlawfully enter another residence and such alike. Imagawa Ujiteru was born in the year of 1513. His father died in the year of 1526. Combining these two facts, it turns out that at the young age of 13, Ujiteru was supposed to head their clan already. If you research when Ujiteru’s reign as the head of the Suruga-Imagawa clan is, sources found in the wikipedium would tell you that it was recorded to be from the year of 1526 to 1536. Considering the facts mentioned above, Ujiteru’s actually only ruled for about 6 years and those 6 years were still in the Sengoku period which was primarily run by the Ashikaga shogunate. Some people would say that in the amount of time that Ujiteru was a ruler, there wasn’t much done. It can easily be understood by some people would think that but if you really analyze the situation he was facing at the time when he forcefully took reins from his uncle, him winning that battle of authority should have tilted their clan in all sorts of ways. His uncle built connections and relationships with the intention of fully taking over their clan someday. 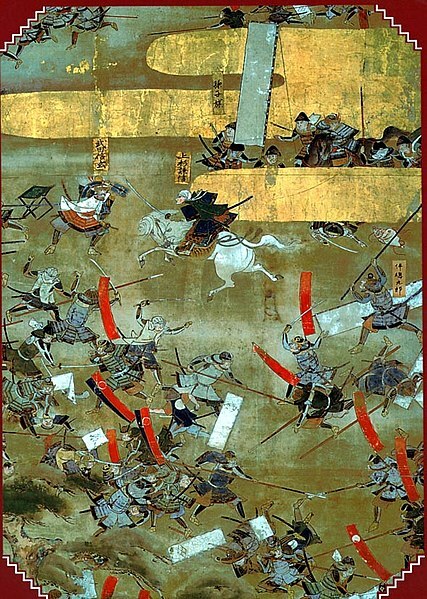 When Norimitsu failed, some of his allies surely made it hard for Ujiteru to fully take control but despite this fact, there was no recorded uprising under the rule of Ujiteru. In some ways, you can think of this as a showcase of just how skilled he was as a leader because for him to gain the respect, loyalty, and cooperation of his forces against all odds certainly shows that he did have what it took to be the head of such an influential clan during those times. Because of all the problems he immediately faced at the start of his reign, Ujiteru didn’t get the chance to meet a lady, start a family, and have children to carry on his name and legacy. This would have been a big problem if he didn’t have brothers to continue their legacy in the case of an untimely demise. This is exactly what happened because in the year of 1536, he suffered an illness that led to his death and it started a struggle of power between the Imagawa brothers. This was the moment in time when Takeda Nobutora aided the campaign of Imagawa Yoshimoto to be the new head of their clan and it was a great thing for the Suruga-Imagawa clan because Yoshimoto turned out to be one of the best heads of their clan as well as one of the most influential daimyo Japan has ever seen. Imagawa Ujiteru’s rule was a short one but you must give credit when credit is due and if you are to look back into Ujiteru’s rule, it’s obvious that his rule deserved more credit and recognition. Although there wasn’t any monumental development done during this time, the success that was experienced by his successor, Imagawa Yoshimoto, would not have reached the height that it did if Imagawa Ujiteru didn’t start the unification of their clan after the mess and confusion made by his uncle’s ulterior motives. This is not to take away from the greatness of Yoshimoto, however. He earned the reputation of being the strongest daimyo in the Tokaido all on his own. Yoshimoto wasn’t a great head of the clan just because of his fighting prowess. Aside from being well experienced in war because of all the battles he had with the Takeda and Hojo clans, he was also cunning and smart. He showcased his side of his by being one of the best diplomats in their time. His skills in relating and creating relationships made it easy for him to secure all the key alliances that he made during his reign which put him in a position that actually made it possible for him to become a shogun. It didn’t take long before being shogun actually became his number 1 goal so, with all the pieces in place, he set his plan in motion. People say that to achieve your dreams, you must put it all on the line. Yoshimoto did this and embodied this concept as he shaved his eyebrows and blackened his teeth to look more like the Kyoto Nobles. He was winning fights left and right and in some way, these victories were also the death of him because it left him and his forces arrogant and unprepared for sudden attacks. In the year of 1560, this weakness was exposed by none other than Oda Nobunaga, who was also trying to be a shogun himself. Yoshimoto had been calling a bluff that he had more men in his army than he actually had. Usually, this bluff would strike fear into the hearts of anyone who would dare oppose him but in the case of Oda, he saw right through the bluff. With this said, he planned a surprise attack on Yoshimoto and his forces in the village of Dengakuhazama found in Okehazama and it ended with the death of Yoshimoto. His son, Imagawa Ujizune, would immediately take his place as the head of the clan afterward but losing Yoshimoto certainly hurt their clan as they fell from power soon after. Aside from the battles he had with powerful opponents, there was another thing that Yoshimoto had in common with the likes of Oda Nobunaga and Tokugawa Ieyasu. It was the historical sword known as the Soza Samonji. Yoshimoto acquired it from the Takeda clan as a gift for their alliance. After defeating Yoshimoto, Oda Nobunaga gained ownership of this sword. Later on in the history of Japan, this sword would also be owned by Toyotomi Hideyoshi and then Tokugawa Ieyasu. Each of these people were considered to be the most influential people that Japan has ever seen which made the Soza Samonji and obvious symbol of power for people. Considering all the details shared about Imagawa Ujiteru and his reign, at first glance, it may seem like he didn’t do enough to be a notable figure or personality in the history of Japan. This is what makes his story different from the other great people in Japan. You need to put yourself in his position at the time to understand the gravity of his decisions and how he paved the foundation for the successful reign of Yoshimoto. Imagawa Ujiteru’s story is the perfect embodiment of the statement “not all heroes wear capes”. He seemingly didn’t do much with his power but in reality, he did more than enough to ensure their clan’s future success.